Spectacular 3BR/2BA split plan is move in ready. Youll be pleased from the moment you enter, freshly painted interior, new stainless appliances, new washer & dryer, white cabinets with corian counters in kitchen, spacious great room with high, stepped ceiling and crown molding, separate dining room plus a breakfast nook. The lanai has new screening and overlooks the private back yard with plenty of room for pool. There is even a new irrigation system too. There is a clubhouse and heated community pool close by. 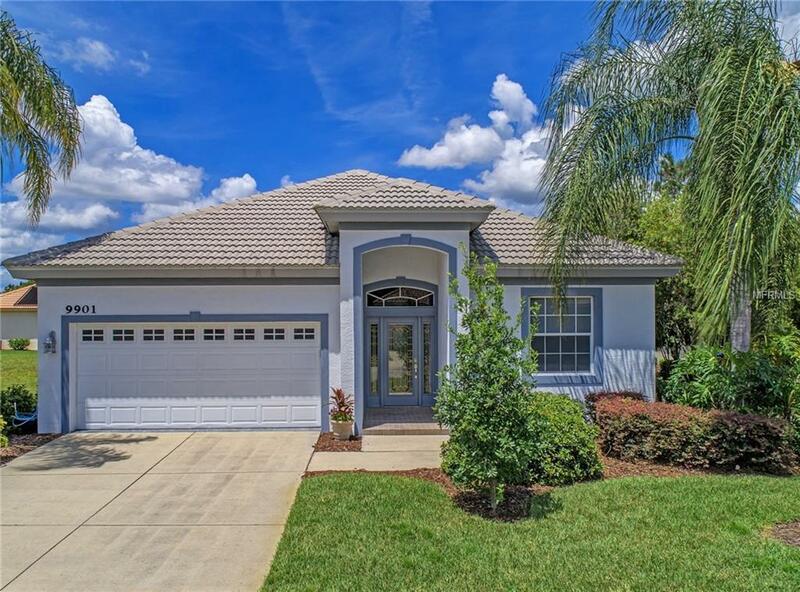 River Club is a great community with close proximity to all amenities including schools, restaurants, banking, movie theatre, I-75 and Lakewood Ranch Main Street. This is a golf course community - membership is optional. No CDD fees.